Pest management requires a holistic approach to combating yield-impacting pests. This focuses on monitoring the life cycles and prevalence of pests to determine the best pest control methods for the current and following growing season. Prior agronomic practices, like planting corn-on-corn, can create significantly higher pest pressure than in fields previously rotated with other crops. 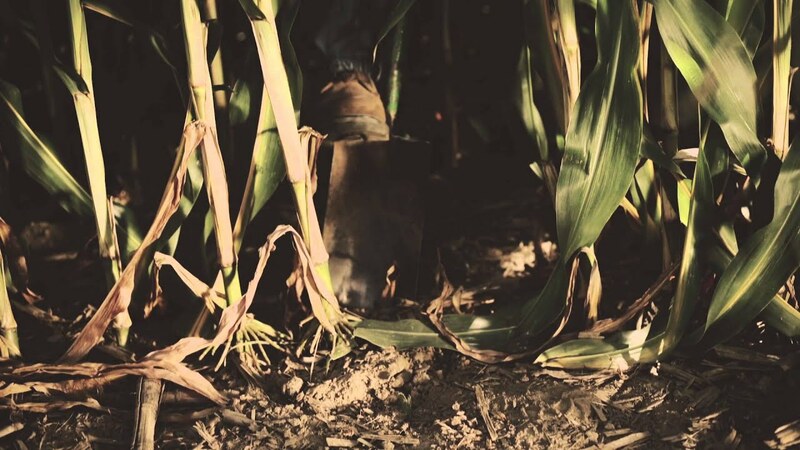 To get more corn per acre, having a solid understanding of the level of pressure and type of pests is key for choosing the best corn traits and agronomic practices to address these challenges. A well-planned approach to pest control can not only help you get the most out of this year's crop, it can also help manage insect pressure for years to come. Watch this video to see how you can implement best management practices on your farm, and the benefits of doing so. Use the best agronomic management practices, in conjunction with the appropriate seed product, to help obtain the greatest yield benefits. Use seed products, seeding rates and planting technologies appropriate for each specific crop and geographical area. As much as possible, manage the crop to avoid plant stress. Employ appropriate scouting techniques and treatment decisions to preserve the beneficial insects that can provide additional insect pest control. Manage for appropriate maturity and harvest schedules. Destroy crop residue immediately after harvest to avoid regrowth and minimize selection for resistance in late-season infestations. Use soil management practices that encourage destruction of over-wintering pests. Use proper crop rotation practices and target pests with multiple modes of action to make it more difficult for pests to adapt. In areas where crop rotation is not practiced, or where rotation occurs but high pest populations are observed, the use of products with multiple modes of action, such as Genuity® SmartStax® RIB Complete® corn blend, is strongly recommended. Carefully monitor fields for all pests to determine the need for remedial insecticide treatments. For target pests, scouting techniques and supplemental treatment decisions should take into account the fact that larvae must hatch and feed before they will be affected by the B.t. protein(s). Fields should be scouting regularly, following periods of heavy or sustained egg lay, especially during bloom, to determine if significant larval survival has occurred. Refuge seed may not always contain Genuity® DroughtGard® Hybrids. Certain statements contained in this presentation are "forward-looking statements," such as statements concerning the company's anticipated financial results, current and future product performance, regulatory approvals, business and financial plans and other non-historical facts. These statements are based on current expectations and currently available information. However, since these statements are based on factors that involve risks and uncertainties, the company's actual performance and results may differ materially from those described or implied by such forward-looking statements. Factors that could cause or contribute to such differences include, among others: continued competition in seeds, traits and agricultural chemicals; the company's exposure to various contingencies, including those related to intellectual property protection, regulatory compliance and the speed with which approvals are received, and public acceptance of biotechnology products; the success of the company's research and development activities; the outcomes of major lawsuits and the previously announced SEC investigation; developments related to foreign currencies and economies; successful operation of recent acquisitions; fluctuations in commodity prices; compliance with regulations affecting our manufacturing; the accuracy of the company's estimates related to distribution inventory levels; the company's ability to fund its short-term financing needs and to obtain payment for the products that it sells; the effect of weather conditions, natural disasters and accidents on the agriculture business or the company's facilities; and other risks and factors detailed in the company's most recent periodic report to the SEC. Undue reliance should not be placed on these forward-looking statements, which are current only as of the date of this presentation. The company disclaims any current intention or obligation to update any forward-looking statements or any of the factors that may affect actual results. This information is for educational purposes only and is not an offer to sell Roundup Xtend™ with VaporGrip® Technology. This product is not yet registered or approved for sale or use anywhere in the United States. Roundup Ready 2 Xtend® soybeans contains genes that confer tolerance to glyphosate and dicamba. Bollgard II® XtendFlex® cotton contains genes that confer tolerance to glyphosate, dicamba and glufosinate. Glyphosate will kill crops that are not tolerant to glyphosate. Dicamba will kill crops that are not tolerant to dicamba. Glufosinate will kill crops that are not tolerant to glufosinate. Contact your Monsanto dealer or refer to Monsanto’s Technology Use Guide for recommended weed control programs. Monsanto Company is a member of Excellence Through Stewardship® (ETS). Monsanto products are commercialized in accordance with ETS Product Launch Stewardship Guidance, and in compliance with Monsanto's Policy for Commercialization of Biotechnology-Derived Plant Products in Commodity Crops. This product has been approved for import into key export markets with functioning regulatory systems. Any crop or material produced from this product can only be exported to, or used, processed or sold in countries where all necessary regulatory approvals have been granted. It is a violation of national and international law to move material containing biotech traits across boundaries into nations where import is not permitted. Growers should talk to their grain handler or product purchaser to confirm their buying position for this product. ALWAYS READ AND FOLLOW PESTICIDE LABEL DIRECTIONS. Roundup Ready 2 Xtend® soybeans contains genes that confer tolerance to glyphosate and dicamba. Bollgard II® XtendFlex® cotton contains genes that confer tolerance to glyphosate, dicamba and glufosinate. Glyphosate will kill crops that are not tolerant to glyphosate. Dicamba will kill crops that are not tolerant to dicamba. Glufosinate will kill crops that are not tolerant to glufosinate. Contact your Monsanto dealer or refer to Monsanto’s Technology Use Guide for recommended weed control programs. Acceleron®, agAhead®, agSeedSelect®, Asgrow and the A Design®, Asgrow®, Bollgard and Design®, Bollgard II and Design®, Bollgard II®, Bollgard®, DEKALB and Design®, DEKALB®, DroughtGard®, FarmFlex®, Fieldscripts & Design®, FieldScripts®, Genuity Design®, Genuity®, Ground Breakers®, Growing Knowledge®, Integrated Farming Systems & Design®, Processor Preferred and Design®, Processor Preferred®, Respect the Refuge and Cotton Design®, RIB Complete and Design®, RIB Complete®, Roundup Ready 2 Xtend®, Roundup Ready 2 Yield®, Roundup Ready PLUS®, Roundup Ready®, Roundup Xtend™, Roundup®, Silage Proven and Design®, Silage Proven and Design™, SmartStax and Design®, SmartStax®, VaporGrip®, Trecepta™, Vistive®, VT Double PRO®, VT Triple PRO®, XtendFlex™, XtendiMax®, YieldGard Corn Borer and Design®, YieldGard Rootworm and Design®, YieldGard VT and Design®, YieldGard VT Triple®, YieldGard VT® and YieldGard® are trademarks of Monsanto Technology LLC. Dedicated to Cotton. Committed to You. ® and Deltapine® are registered trademarks of Monsanto Company. LibertyLink and the Water Droplet Design®, LibertyLink®, Poncho® and VOTiVO® are registered trademarks of Bayer. Headline AMP® and Headline® are registered trademarks of BASF Corporation. Respect the Refuge and Corn Design® and Respect the Refuge® are registered trademarks of National Corn Growers Association. Agrisure Viptera® is a registered trademark of Syngenta. Commercialization dependent on multiple factors, including successful conclusion of the regulatory process. 20/20®, FieldView® is a trademark of Precision Planting LLC. All other trademarks are the property of their respective owners. © Monsanto Company All Rights Reserved.